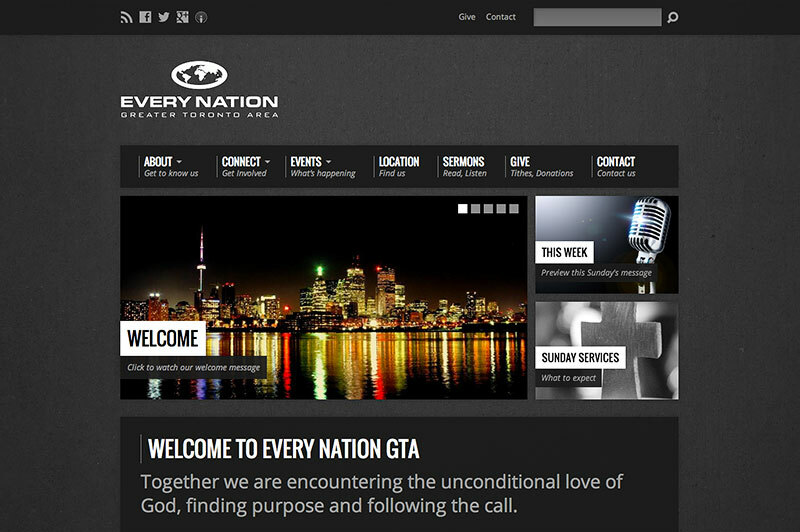 Every Nation GTA was one of the first churches to use the Resurrect theme when we launched a few months ago. Located in downtown Toronto, the theme’s urban-inspired design is suited to their church’s personality. They have done a fine job organizing their content and giving their website a polished look with the insertion of their logo and the use of quality photography. Today you will meet the men responsible and hear how they utilized WordPress and our theme for their new church website. In our first Showcase post, we take a look at how a church in Brazil is using our Resurrect WordPress theme for their new church website. Daniel Gardner built Igreja Batista no Parque Industrial‘s website and was kind enough to let us interview him. 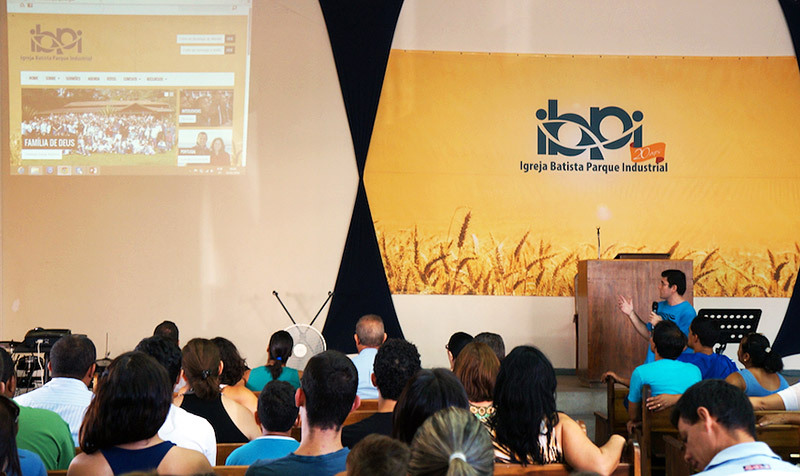 He is part of Ministre, an organization with the goal of helping churches in Brazil build websites and distribute sermons. They contributed the Portuguese translation included with Resurrect and the Church Theme Content plugin that other churches are now benefiting from. Update: Exodus is now available. Development of our next WordPress theme is underway. We’re calling it Exodus. It has a wide and flat design which you can preview in the screenshot below. The idea with this theme is to make something with a very different appeal than Resurrect, which was urban-inspired. 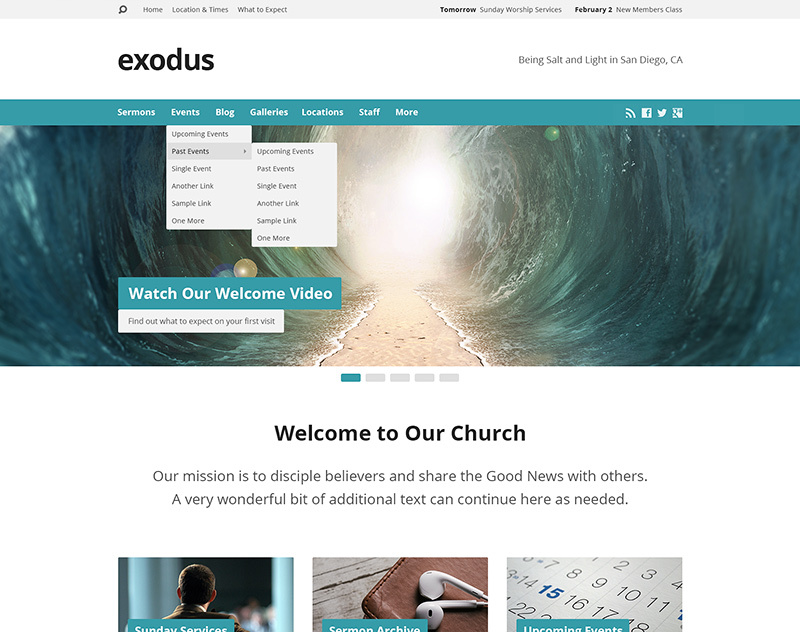 The design of Exodus is wide, flat and somewhat minimal. We want to offer a variety of themes so that there is something for every church. Did you notice our design is a bit wider? That’s the trend these days (and will be true of our future themes). If you’re viewing with a desktop or laptop display having a higher resolution than was previously common, you’ll enjoy greater ease when reading this post, our guides and other content. Speaking of other content, in addition to this new blog, we also added some more content to the site. We launched with a somewhat minimal website late last year because the priority was to make the Resurrect theme immediately available to churches. Now that the dust from our launch has settled and the making of our second theme is underway, we have a little breathing room, which afforded us some time to beef up the site’s content. We’ve planned on having a blog from the very beginning. You may have seen the unofficial “launch post” for churchthemes.com late last year on my personal blog. If not, give Behind churchthemes.com a read. I was surprised at the feedback I got on that post. It showed me that people want to know what is going on behind a product. I’ve actually had people tell me that post was the reason they decided to buy Resurrect. My experience with the unofficial “launch post” made me even more excited about starting a blog right here on churchthemes.com. I want this to be a place of connection between us and those who use or are considering using our themes. I also want it to be a continual sneak peek behind the scenes — an ongoing, interactive story — so you always know we’re here, listening and working hard for you. We want your feedback and we want to improve in every way. So, what will this blog be about, exactly? Sometimes it is useful to setup a real cron job to ensure that scheduled WordPress core and plugin maintenance gets done. There are things that happen automatically behind the scenes that keep your site running as expected (publishing scheduled posts, for example). This usually works fine but in some cases tasks may not run reliably. Here’s how to solve that. A few days ago I was checking up on what some hosted website building services are doing. They’re something like WordPress as far as being “do it yourself” content management systems, but proprietary and hosted by their makers. Some are good solutions. I ran across one that is perhaps good but their marketing strategy was interesting. They had a page detailing all the reasons not to use WordPress, likely because WordPress solutions are significant competition. I disagreed with much of what was written but one reason in particular stood out — the cost. Their premise was that WordPress is low cost and therefore a low quality solution that should be avoided, lest hidden costs and difficulties arise.